Ultimate Frisbee actually began right here in Ohio, developed by college students in the 1960s. It features a field just like football with two end zones and is played similar to a football game. To score a point, you have to catch a Frisbee “passed” from the other side by one of your teammates. When a point is scored, teams switch sides and “pull” the disc to the other team. 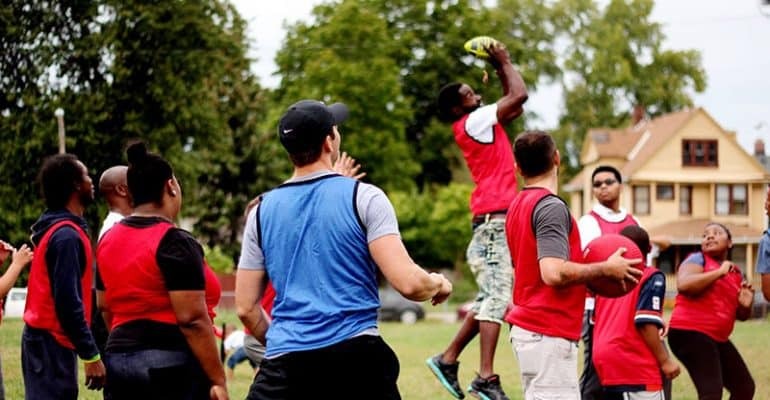 Frisbees can be intercepted and batted down to avoid completed passes. A team wins when time runs out or a pre-set number of points has been scored. Proper sportsmanship is always a requirement. And so is fun! !